HomeAwareness By ColorYellow Awareness ProductsSupport our TroopsMagnetic American Flag Car Magnet 4" x 6"
Just want our highest quality outdoor flag magnet in a compact 4" x 6" size? This is it. Our 4 inch by 6 inch Magnetic American Flag Car Magnet is printed in glossy process inks in the official red and blue colors on outdoor thickness .030" magnetic material, with UV protected inks. A more compact size, it is not quite as wide as the traditional US flag dimensions, but is a popular size. We also carry this style in a "reverse" layout - when you want the flag stripes to "flow" a particular way. For example, if you put a flag magnet on each side of your car, and use the reverse version shown below, each flag will be positioned with the stripes to the rear. The best quality, nothing else like it out there. Also the Support Store was quick to ship so I got it in no time at all. Thumbs up!!!!! Best UsesI always put it on my car I bought a bigger one but it doesn't work on my car so I put it on my door that way I could have one on my flag on my door. The magnetic American Flags are exactly as shown on line and are also exactly what I was trying to find. The SupportStore also processed and delivered them quickly and efficiently. Highly recommend these items and SupportStore. Simple, clean & exactly what wanted & expected! Bought these for my Jeep. Good color fidelity,, well made, no edge separation. Stayed on through a muddy offroad drive. Will buy more. I recommend the product and supplier. The colors are bright and distinctive. The magnet appear strong. My hope is for this flag to hold up in the hot Florida sunshine. Others have faded. Magnets have weakened. So far all is good, and I like the bright American flag on the back of my car. Get them before they change it. Just the right size and a good price. Best UsesShow your colors, car, bike, or front door. Very happy with my purchase. Smooth transaction. sticks to my truck firmly and does not fall off going through the car wash.
Service was excellent .. 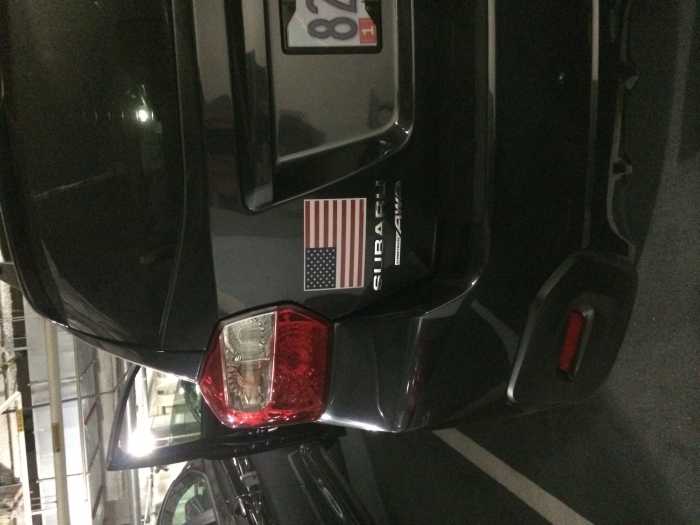 The American Flag car magnet is excellent quality and very well built .. Am very pleased .. God speed and may he once again bless this great country ..
Just what I've been looking for. I had a similar item and lost it somehow two years ago. None of the big box stores seem to carry magnetic USA flags for cars. A good question would be why? This item is perfect in every way, size, color, etc. The product was exactly what I was looking for and quick delivery. Thank you. Best UsesI placed this one on the rear hatch of my vehicle. I ordered this for my boyfriend. It was exactly as described and was of great quality. I will be ordering another one. It also arrived quickly! Great..Last year I ordered 18 or 20 and my sister and I gave them for Christmas gifts...So I ordered more for this year. Share the Stars and Stripes! Have had these magnets before and love them. Large enough to be seen yet small enough to be classy! Awesome service from Support Store and great prices! I like my American flags. Wish they were available in left AND right peel and stick version in the 4"x6" size.